Varnish is aesthetically pleasing and functional. It protects the wood from moisture and prevents drying up and cracking. Properly applied nail Polish dries quickly on the surface and facilitates maintenance. There are types of colorless varnish or tinted shades. Before you apply the paint, prepare the surface. Grind with fine sandpaper, wipe clean and dry. Then apply a coat of primer. There are special water priming both colorless and tinted. 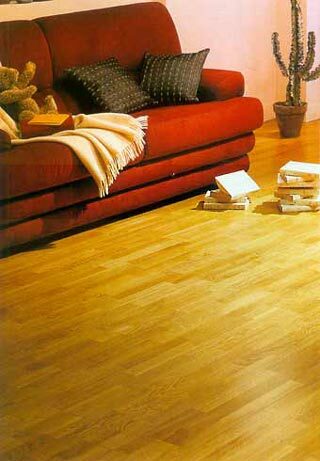 The primer coating allows to reduce the consumption of varnish and makes the surface more smooth. After drying the primer, apply a coat of varnish. Coverage you need to make two or three layers. Each subsequent layer is applied after full drying previous. Gloss varnish makes visible all the irregularities on the wood surface. Matt varnish – allows you to hide them. Water varnish suitable for application over previously painted surface. Nail Polish or apply with a roller or brush in a thin layer to avoid drips and streaks. You can also use the spray. If you want to cover with varnish new wood resin rocks, first cover it with a stain on 2-3 coats and then varnish. Previously painted or varnished surface, fine grind sandpaper to remove old coating. Then rinse and dry. Cover with 2-3 layers of primer or stain and start coating varnish. Render surfaces can use a tinted spray and then clearcoat. Or you can use a tinted varnish, which added a 5% impregnation. Impregnation should be water-based. The lacquer surface of the table is a practical, aesthetically pleasing, functionally. Coating of wooden surfaces prevents their destruction, as the varnish protects the wood from moisture and damage. The application of the new layer depends on whether the table is painted, varnished, or planed surface has not been subject to any appearance of decorative treatment. If you are going to varnish a table that has been painted or has a lacquered surface, then the entire old layer of any paint material clear and only after careful processing proceed to re-coating. To clear the table of paint materials, use chemical, mechanical or thermal removal of the old coating. When you use a chemical flushing system, apply it to the surface of the table with a rag after 10 minutes, wipe table with a dry cloth. To clear the table of old layers of paint and varnish materials by using a mechanical method, use a grinder or rotary sander and fine sandpaper. Gently clean the surface at a low speed devices since the inclusion of a high-revving can cause damage to wooden surfaces, then you will have to putty the entire surface. Apply a layer of varnish you can with a brush or roller. If you use a clearcoat and you want the table had shade, you must apply one, two or several layers of stain or colored primer. If you are not using stain, be sure to Prime the surface of the table not less than two layers. This will reduce the consumption of varnish and smoothes minor irregularities that are always present on the tree, regardless of how careful sanding it. Use primer water-based, which are presented in trade in a wide range and have different colors, and can also be colorless. After applying each layer, allow time for complete drying of the surface. It will take 12 hours. Apply a coat of varnish, leave the table for 24 hours for complete drying of the first layer. Cover the table with varnish for a second time. 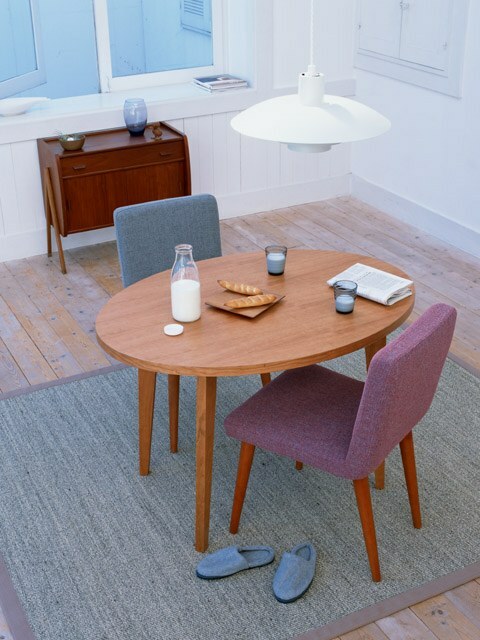 The old table can be refreshed and fit to the new interior. Select one of the ways of design – painting, craquelure or decoupage. Any of them you will be able to master, even if for the first time decided to undertake the restoration of old things. Clear table of old coatings. This is necessary in case if the paint or varnish, it peeled off. Use special compounds – washes. Put them on a table, wait 3-5 minutes (the exact time indicated on the package). Softened paint will scrape off with a spatula. Also the paint can be reheated construction Hairdryer. However, you will need much more time. Paint the table in a new color. You can choose one shade or combine several. For example, painting the edge of the tableechnica of pistachio, and the rest of the surface is light brown. Metal parts tableand easier to handle spray paint – so the color will fall evenly. Wooden table can be painted with a brush or roller. A two-color combination would be beneficial to look, if you decorate the table in vintage style. Paint it first with one color. When the paint is dry, apply a coat of the second color. Wait until the coating dries by 80 percent – the paint is still wet, but if to touch her, a finger will not stick. Apply with clean brush krakelyurnogo varnish for a one-step craquelure. When the table dries, the top layer of paint covered with small cracks through which will be visible first color. 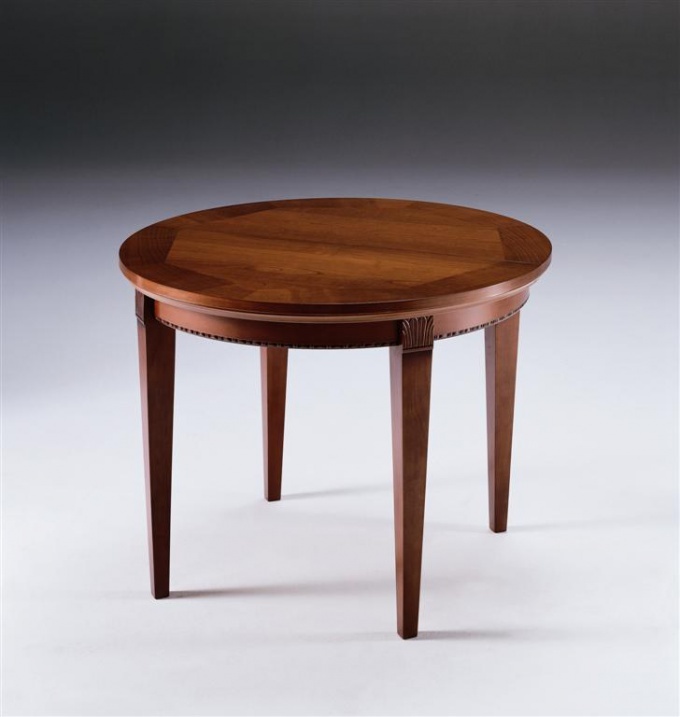 The tabletop or the legs can be decorated with drawing. A simple geometric pattern draw over the dried background with a thin brush. For more complex pattern, cut a stencil out of cardboard, polyethylene or adhesive film. Attach the stencil only after the complete drying of the first coat of paint. If you find it difficult to make the pattern, use. Fill in the table using decoupage technique. Buy paper napkins with any pattern. You can use special napkins for decoupage or regular paper. Gently rsslite tissue, separating a thin upper layer with a pattern. Cut out the pattern with scissors. Attach it to the tableat the faceup and cover the top with white glue or decoupage glue. Apply glue with a soft brush, smoothing out the picture. When it dries (about a day) to fix the result varnish.